Dora and her old enemy Lucy are paired up on the children's ward for the final three months of their training. The two nurses couldn't seem more different, but they may have more in common than they think, as each hides a secret heartache. And new trainee nurse Effie can't wait to escape her small Irish village, and make her way as a nurse in London. But Effie's sister Katie soon begins to worry that Effie's behavior is out of control. What a smashing conclusion to a smashing series. (Well, I am hoping that it's not the end of this series). This is the final year for our nurses Dora, Lucy and Millie and it was quite the eventful year. 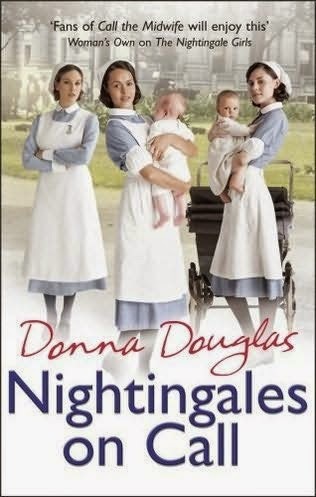 There are fresh faces at the Nightingale and familiar ones, but nevertheless, the nurses have quite the job to do and have to prove to themselves and to the Nightingale that they have what it takes to be a qualified nurse. Dora and Lucy are the bitterest enemies and have to spend their final months together on the children's ward. Just when things couldn't get any worse, but of these nurses go through some devastating times and have to learn to deal with things in order to overcome their shortcomings. Millie is just trying to get through her last year so she can marry Sebastian and spend the rest of her days living in romantic bliss. New faces join the halls of the Nightingale in Jess Jago and Effie O'Hara. Effie is the youngest of a long line of nurses produced by the Nightingale and she has big shoes to fill. Luckily, she has her older sister, Katie, to help guide her along the way. Jess comes from a notorious family in the East End and is determined to not let her name determine who she is. She starts out as a maid at the Nightingale and soon makes some friends along the way. Like I stated before, this was a great conclusion to Millie and Dora's last year at the Nightingale. I was glad to see them reach their goals and achieve everything that they dreamed of. I loved the ending as it wraps up everything nicely. Hoping that there are more books in this series as the author does a fantastic job of creating a world that I can easily get lost in. If you haven't found your way to this series yet, please do soon as you are seriously missing out.